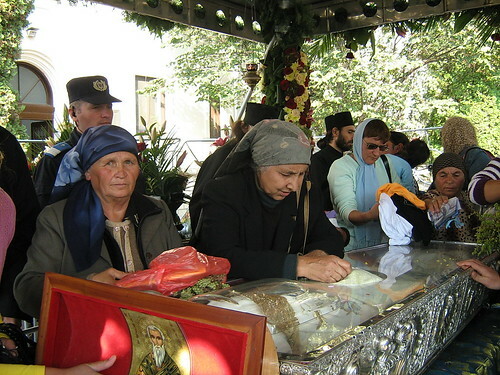 What does the Bible say about the veneration of relics? I want to know if it is biblical the veneration of relics and may it be possible that they are authentic, for example a splinter of wood from the cross on which Jesus was crucified? rel·ic / ˈrelik/ • n. an object surviving from an earlier time, esp. one of historical or sentimental interest. ∎ a part of a deceased holy person’s body or belongings kept as an object of reverence. ∎ an object, custom, or belief that has survived from an earlier time but is now outmoded: individualized computer programming and time-sharing would become expensive relics. ∎ (relics) all that is left of something: relics of a lost civilization. Even in this case it is not reported that someone had removed the bones of Elisha to be used for veneration and healing. The question referred to the biblical approach to this subject, that’s why I will only limit to the biblical texts cited above. What does the reader know and what does he think in this regard?